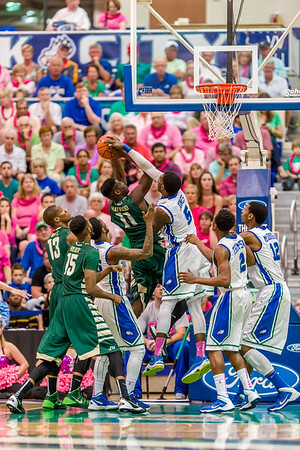 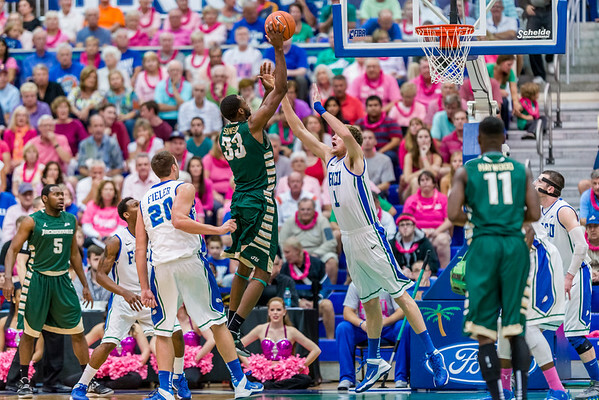 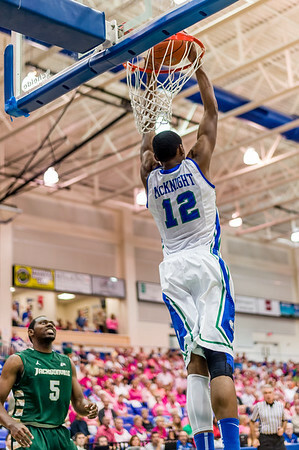 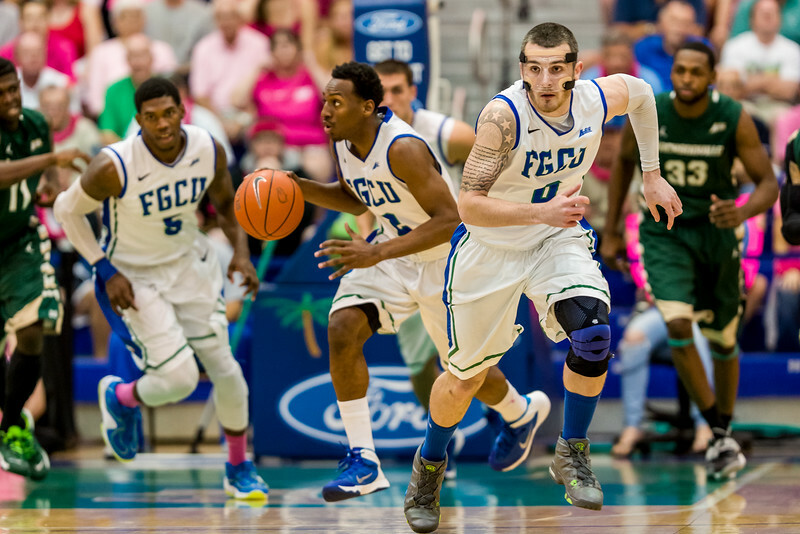 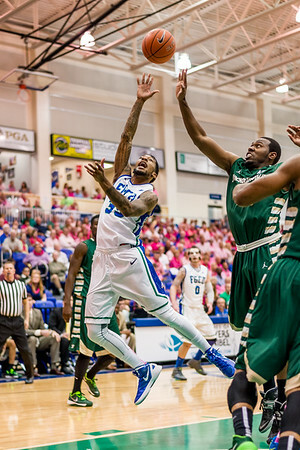 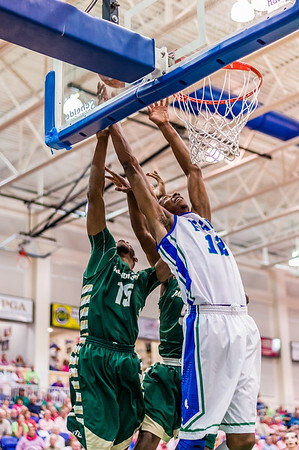 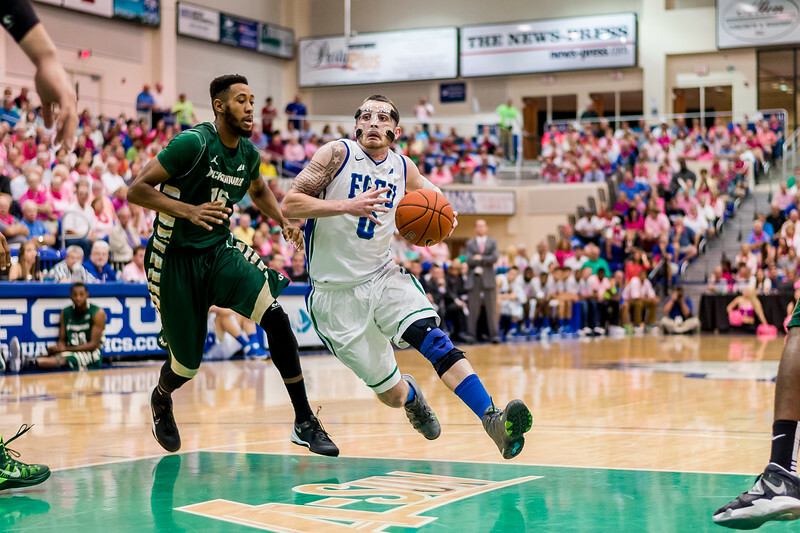 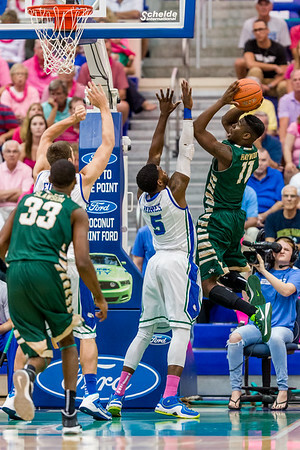 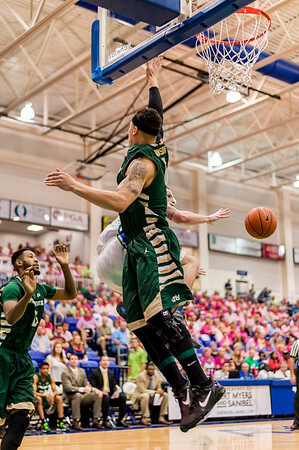 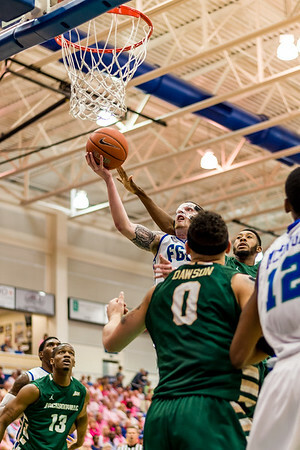 FGCU hosted Jacksonville University, and showed them how it's done. 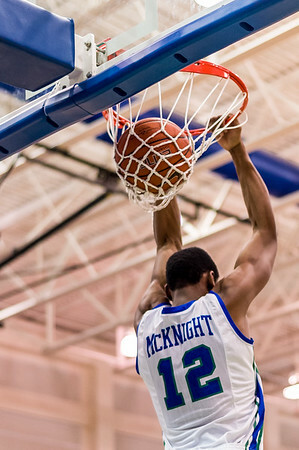 Opening with a quick reverse dunk by McKnight, the eagles started strong -- then lost their momentum and JU pulled ahead briefly. 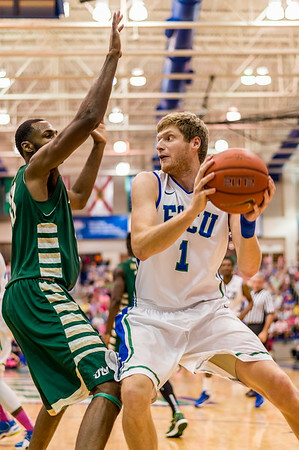 A bit later however, they regained their poise, and tore JU apart, finishing 100 to 71. 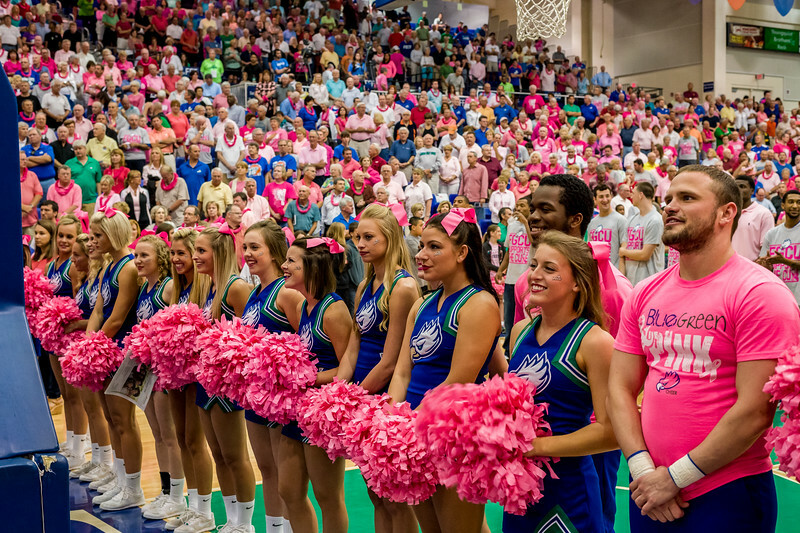 The evening was also a Pink-Out in honor of Breast Cancer and the search for the cure. 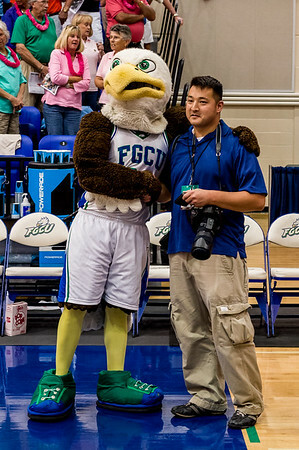 And last but perhaps best, it was also to honor the Women's Soccer team and their regular season championship. 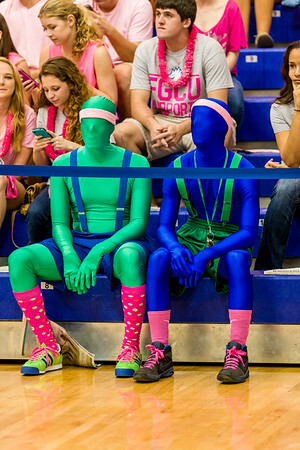 Those ladies sure did clear up nice! 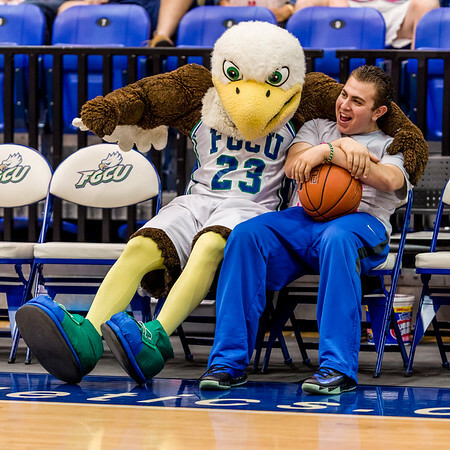 How much longer do I have to wear the hat?